That’s exactly what these two products are – freaks of nature! Drive yourself into the unknown on the 4WD Bush Safari. Your guide will give you instructions as your heart is racing with anticipation as you tackle terrain which is nothing like you have seen before! Then, take on the Monster! After strapping you in your driver will power through the native bush accelerating up steep tracks and vertical slopes. 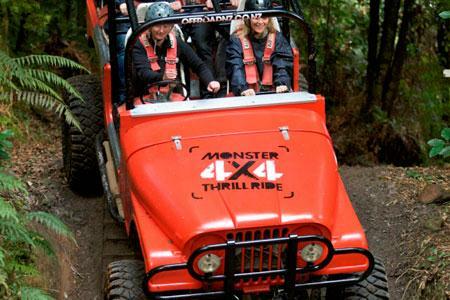 Requirements: A current drivers licence is required to drive the 4WD Bush Safari and a minimum height of 1.4 metres is required to ride the Monster 4X4. 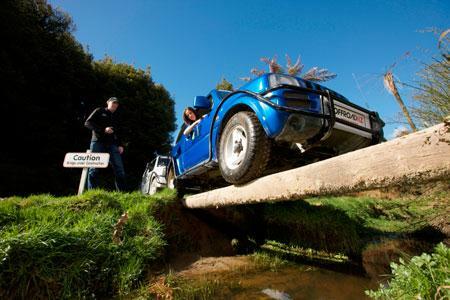 A current drivers licence is required to drive the 4WD Bush Safari and a minimum height of 1.2 metres is required to ride the Monster 4X4. Sorry, rates and availability information is not accessible for selected dates. Please contact us by email: drive@offroadnz.co.nz with your enquiry. Thank you.